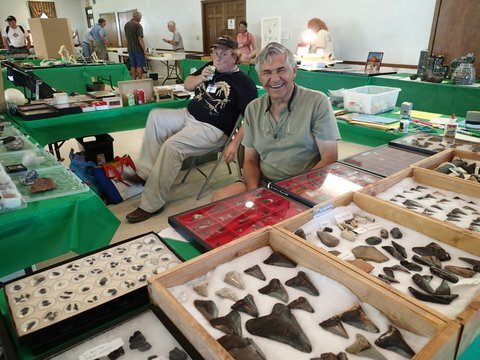 The 21st Annual Aurora Fossil Festival had folks showing up from all over the United States and everyone worked hard to make it a success. 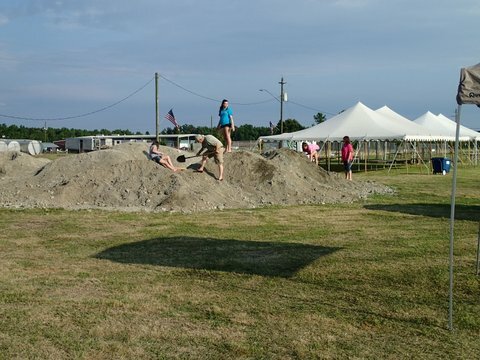 This is the NCFCs second largest outreach activity of the year and we did not disappoint. 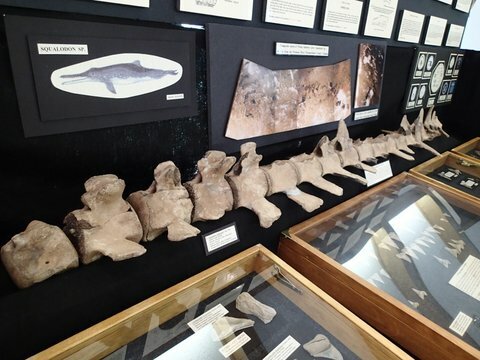 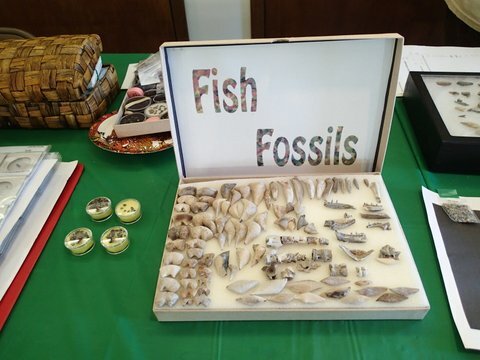 We had 12 "fossil displays", with 15 people and 4 helpers. 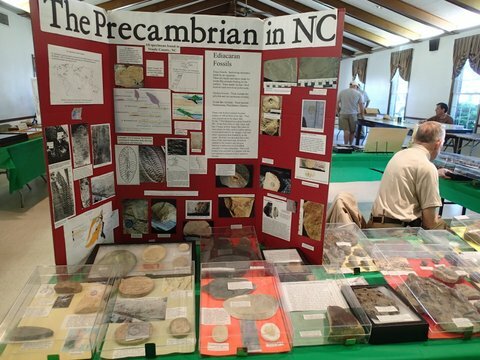 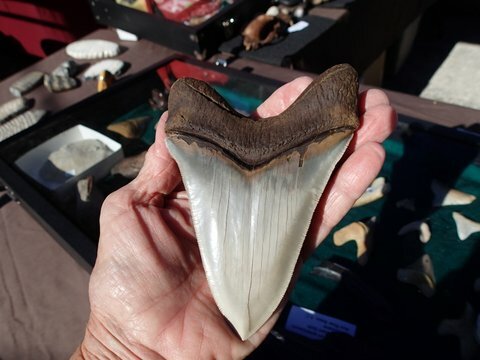 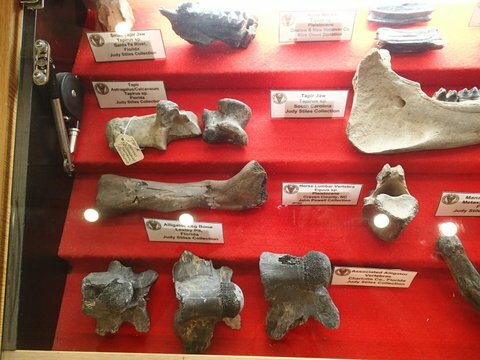 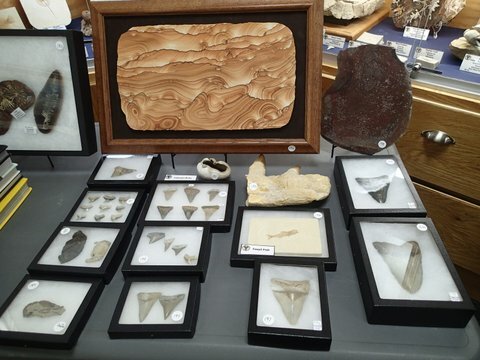 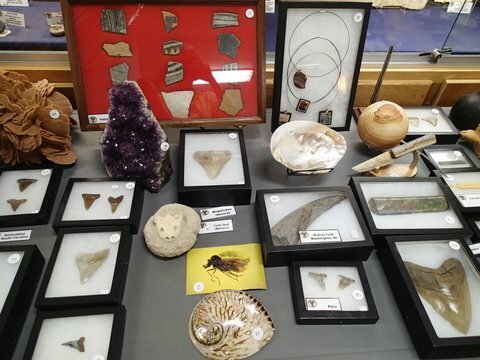 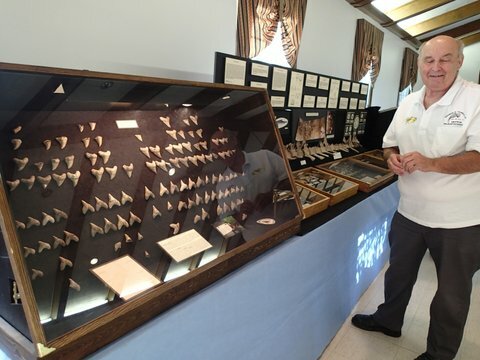 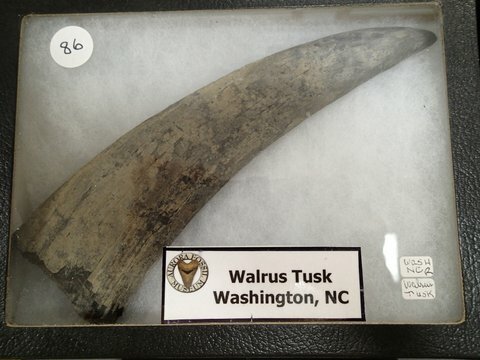 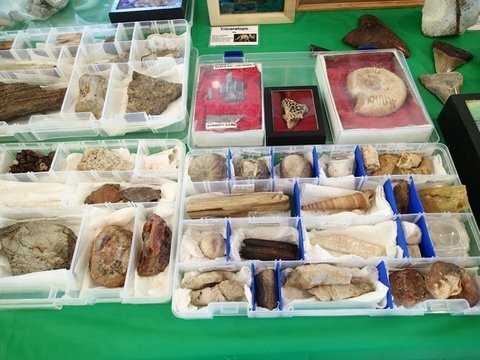 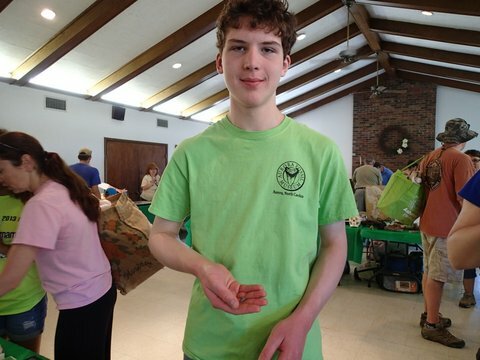 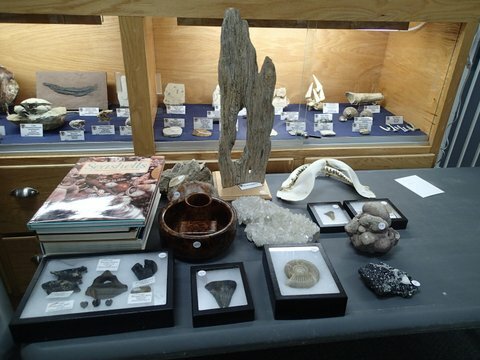 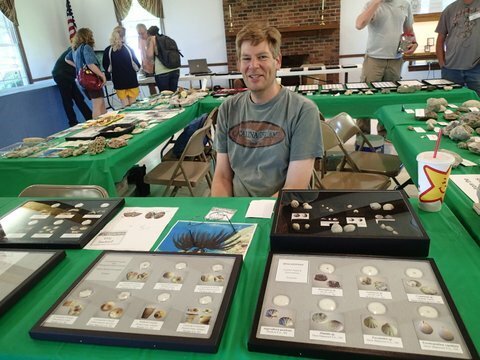 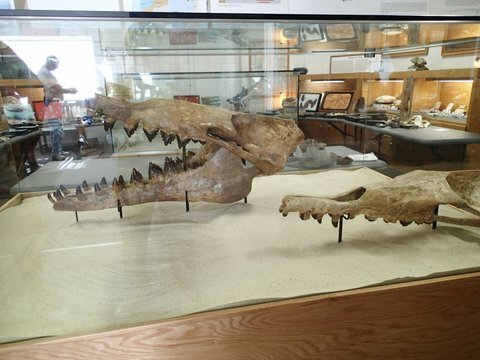 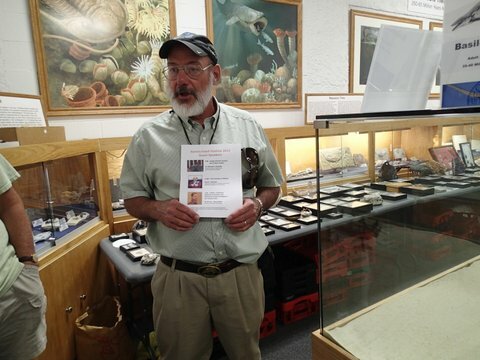 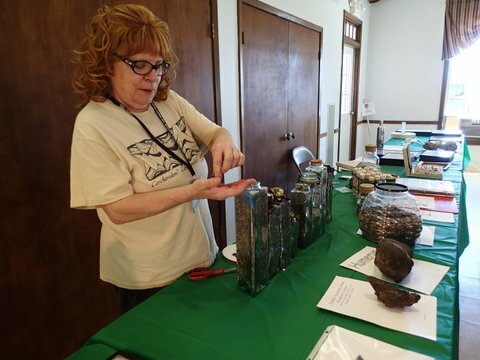 Our members had a wide range of displays available from all different types of fossils to Joy's artifacts table. 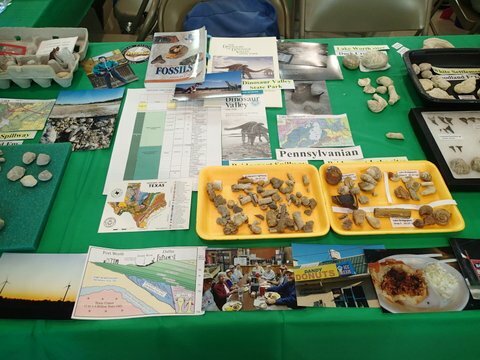 At the children's table, in collaboration with the Fain's, she put out 2x3 bags of mini fossils in her shark bowl and all 120 were given out. 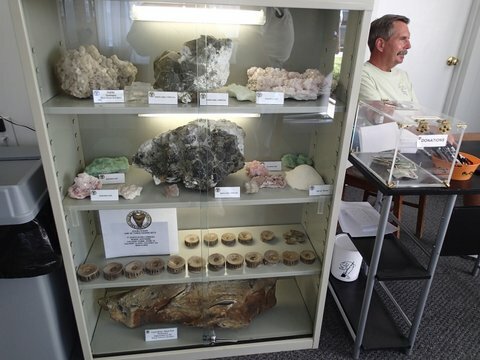 The used science books that had been donated were gone early as well. 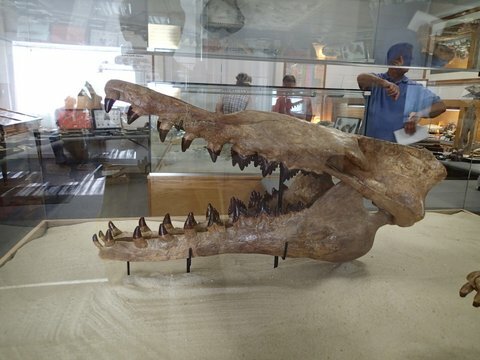 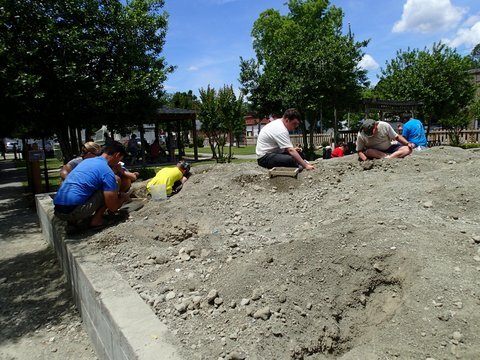 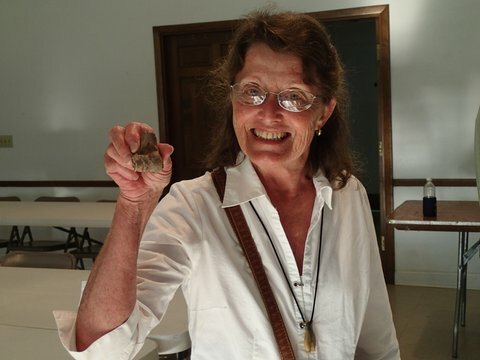 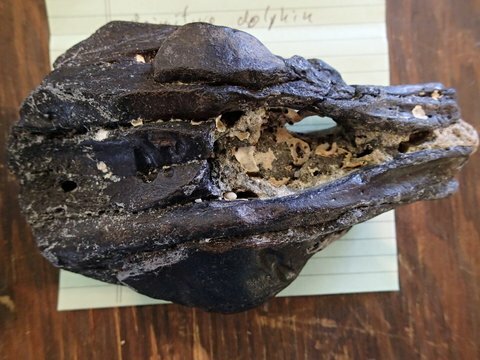 Joanne took time to explain to many kids how to recognize the fossil itself, no matter the size, and that being able to do that will help them acclimate their eyes in the field, since their chances of finding small fossils are greater than their chances of finding a big one! 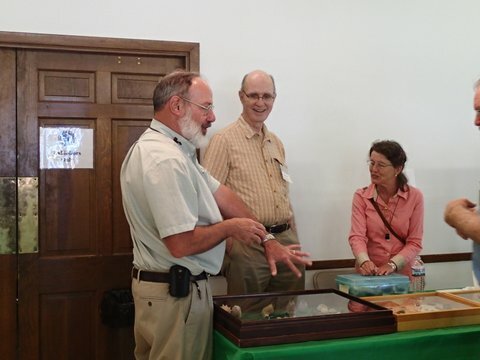 The Power's did their usual spectacular job of manning the membership table and we sold 20+ books and CDs and picked up a couple memberships as well. 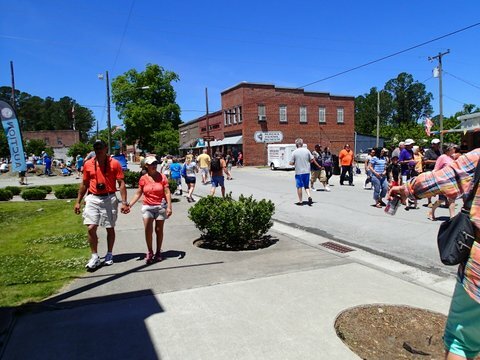 While placing the majority of the festival in the field allowed people to mingle, it did appear to affect the visitors to the museum and they reported 500 less folks at the museum than last year. 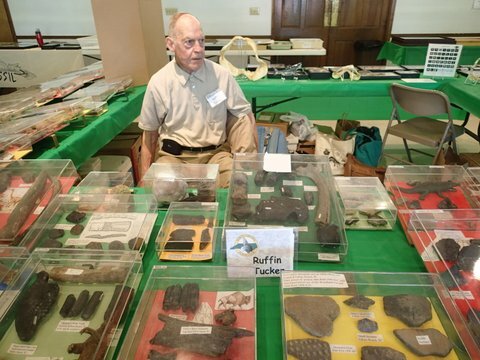 The number of visitors to the museum was 1654 and the total for the Festival was estimated at 7,500. 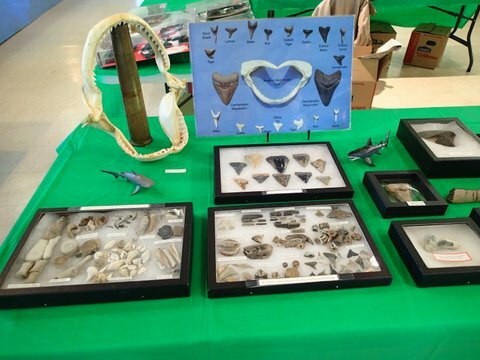 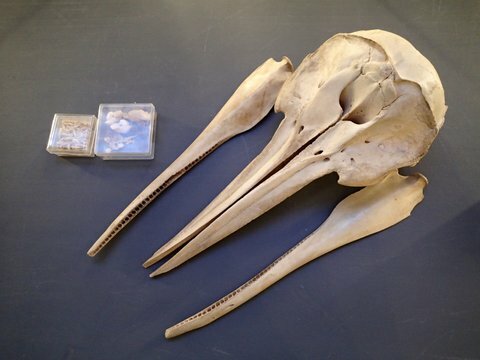 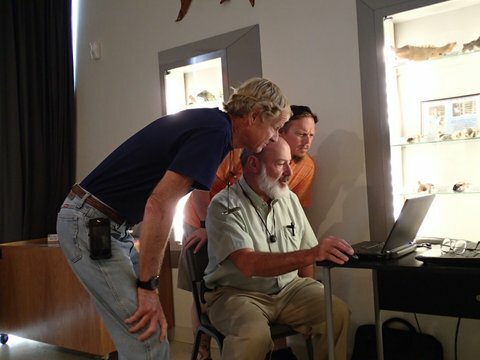 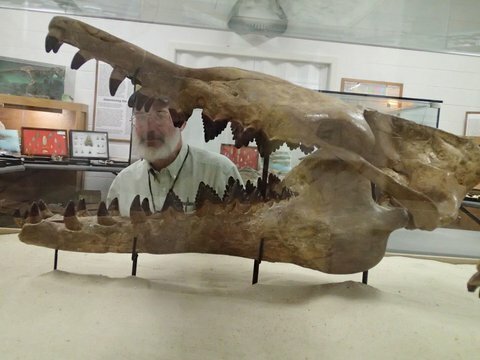 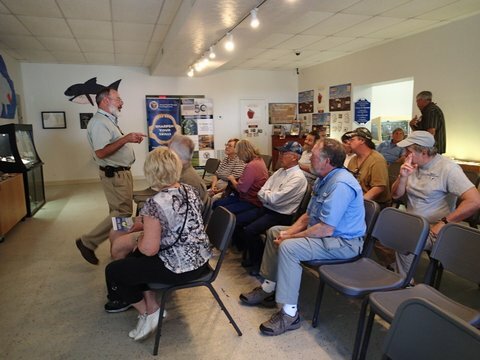 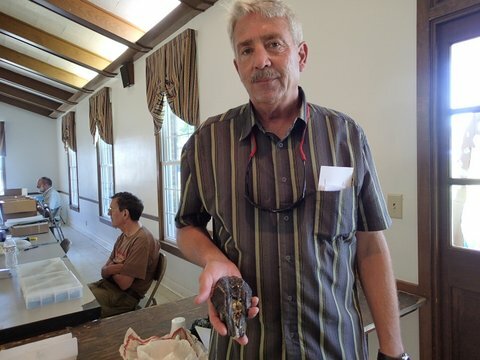 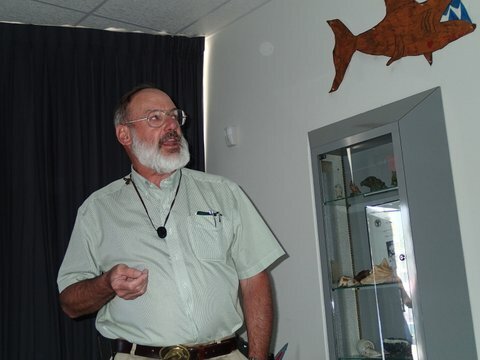 This year's festival had three great speakers, our very own Richard Chandler, speaking about the CD-ROM Project and the release of Volume 1; Dave Bohaska of the Smithsonian spoke on the Evolution of Whales; and Bruce McFadden of the Florida Museum of Natural History spoke on the FOSSIL Project a venture to integrate professionals and non-professionals in the fossil community together. 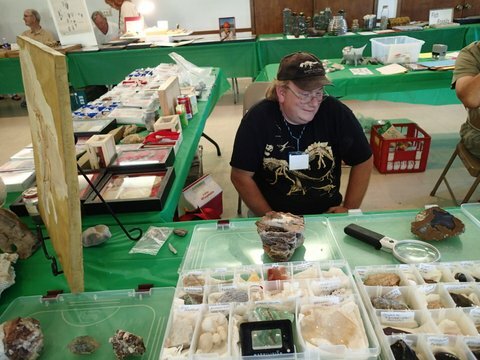 I think everyone had a good time, and we look forward to doing it again next year.